Aschauer IT & Business GmbH was founded in January of 2003 and is headquartered in Vienna, Austria. 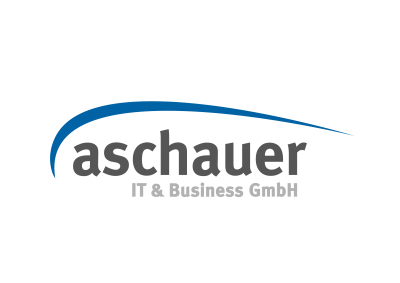 As IT service-provider, Aschauer IT & Business GmbH offers solutions in the areas of Requirements Engineering, process- and individual architecture consulting, software development, integration/migration. We work based on our basic principle of the holistic aspect of requirements engineering. Aschauer IT & Business GmbH stands for sustainability and the active involvement of our clients, suppliers and our own consulting team. This is our success factor for in time in budget projects. The basic application for our agile Learning- and Knowledge-Managment is the REomnis-Portal. Nevertheless you access the REomnis portal via a web browser or a mobile client, you can use it whereever and whenever you want to learn. All features are available on all medias and on all mobile devices. Due to the increased growth of examinations and certifications in requirements engineering and business analysis, Aschauer IT & Business GmbH has produced the training program as a video training authored and presented by Dr. Peter Hruschka. The video training is in HD quality and available on all medias including smartphones and tablet. The training content is compressed to training questions which are provided at the REomnis training portal. The questions are designed as a multiple choice test. If the question is not answered correctly, there is a link to in depth descriptions and the concerning training lesson. Every question has to be answered correctly for three times to be marked as „acquired“. REomnis Statistics are offering individual, detailed analysis on the current state of the training progress. Team leaders can access grouped statistics on the whole training team. You can choose between 3 test types: pretest, posttest and certification. In this module you’ll also find the official IREB practice examination, which contains 34 questions. Free of costs and online! Additionally to the training it is recommended to install a training coach, e.g. in virtual classrooms or directly at the client. It is important to gain a team discussion for all trainees with a mentor like Dr. Peter Hruschka or another coach from Aschauer IT & Business GmbH.